Higher education is offered by various higher institutions - including English-speaking public and private universities - at certificate, diploma, bachelor’s and master’s level. Until the 1990s, many Cypriots were forced to study abroad, since Cyprus had no university of its own. Now students have different opportunities to study at home. Moreover, Cyprus has also become interesting for international students, who already represent one third of its whole student population. Higher education in Greece is spread across three public universities, seven public higher institutions, four private universities and about 25 private higher institutions. The main language of instruction in public universities is Greek. Turkish is the second official language. Public higher institutions, such as police, technical or nursery colleges are either Greek or English-speaking. Most of the Cypriot higher institutions have web pages with all the information on the education system, application procedures, fees etc. Private higher institutions were founded during the last two decades and offer a wide variety of higher education studies at certificate, diploma, bachelor’s and master’s level. 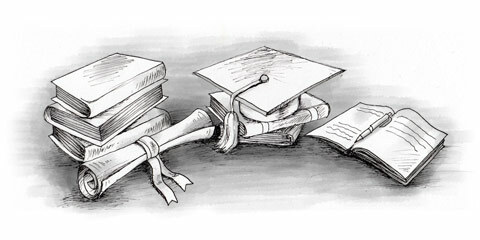 Private higher education is offered by two types of institutions – private universities and private higher institutions. All of them are registered with the Ministry of Education and Culture. However, before enrolling in one of these institutions, make sure its degrees are widely recognized. There are currently 25 private higher institutions and four private universities in Cyprus. The duration of private higher education programmes is between one and four years. To enroll in these universities you will have to prove a good level of English and pay an annual tuition fee. The amount varies from university to university, study programme and can even be based on where the student is from. The average annual tuition fee for undergraduate study is 9,000€ for EU citizens and 9,800€ for non EU citizens. Tuition fees for graduate studies are more affordable at about 6,000€ per year. Universities welcome international students who have several possibilities to study abroad in Cyprus. Higher education is available through European programmes such as ASEM, Erasmus Mundus, Marie Curie, Euromed, Eurydice, Euro 2020, Tempus and Life Long Learning. Application procedures are available from the respective websites of these programmes. The second option is to enroll full time in a higher institution. A residence permit is required from EU students who want to study abroad in Cyprus. It can be issued by the Migration Department in Nikosia. When applying for the residence permit, international students have to prove they have paid their tuition fees for the semester, they can meet all the initial costs of living and have obtained local health insurance coverage. In addition, they need a recent certificate of good conduct issued by the police from their country of origin. Student visas can be obtained through the Migration Department in Nicosia or Embassy/ High Commission/ Consulate of the Republic of Cyprus in the international student’s home country. Since the visa process time may take more than one month, international students should apply two to three months prior to the date of enrollment for study. The student visa is issued for a specific higher institution, so remember to renew it if you decide to change university.